I have a deep fascination with other countries and the culture of their citizens. I often find that when I explore a persons culture deeper, I find new and interesting views and practices that I try to incorporate into my own life. This is hair-pullingly frustrating to me since A) that’s a statement that smacks of insensitivity and general apathy for others in an increasingly globalized society and B) if they bothered to look outside of their own head space for a second and take an introspective look at ourselves, they’d realize that there’s a fair amount of evidence that maybe WE’RE the weird ones. It’s a problem for everyone; eventually someone is going to think that they can do what ever they want, start doing things that hurt others, and some unfortunate judicial system is going to have the task of doling out the proper punishment. However, what’s considered right and wrong is dependent on how strict that country-in-question’s laws are. Apparently, American laws are either shockingly strict or we have too many people that think that they’re above them. 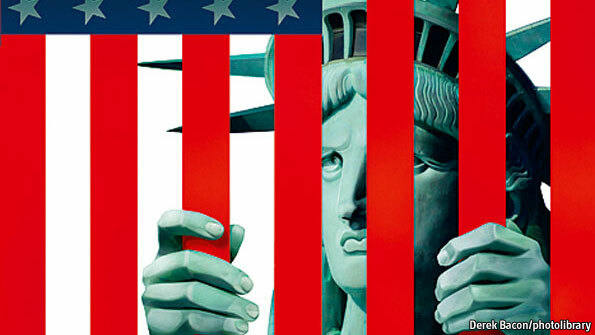 According to the International Centre for Prison Studies, there are 698 incarcerated Americans for every 100,000 American citizens. That gives us the world’s second largest prison population just behind The Seychelles in Africa and a population that’s more than twice the size of Finland, Sweden, Denmark, Norway, and Switzerland combined. Now, I’m not saying that we are a bunch of up-tight jerks in this country, but I am saying that we would probably do well to reassess our laws to make doubly sure there are no victimless crimes on the list. My taxes are paying for this? We seem to like to talk about how we need to improve our education system in this country. Unfortunately, it seems that the answer always boils down to, “Throw money at the problem until it goes away.” But it’s somewhat obvious that doing so isn’t fixing anything. Currently, the U.S. is fifth in school spending with a price tag of $115,000 per student. This wouldn’t be a problem if not for the fact that A) we are admittedly mediocre in terms of education and B) the Slovak Republic, who scored similarly to us in 2012 assessments, spends only $53,000 per student. The actual factor seems to be socio-economic class rather than school funding. So, maybe we should focus more on helping people to help themselves first before giving that fat sack o’ loot to the local campus. Apparently, you do and you just didn’t realize you’re using it. If there’s one universal image of America in the minds of other countries, it’s the image of a rotund slob sitting in his reclining chair with a big bowl of Macaroni and Cheese. But the truth about that stereotype is much stranger than even most of us may know. Yes, it is true that, among 11 to 15 year old Americans, 30 percent of them are medically classified as overweight or obese; making us the leaders in the obesity epidemic. But the problem is not with our lack of activity. According to a study by the Organization for Economic Co-Operation and Development, 26.8 percent of those same 11 to 15 year olds perform moderate to vigorous exercise and physical activity daily. That makes us the third best among the other 33 OECD nations. This leads me to two conclusions; that maybe there’s another reason why we’re all going the way of the Violet Beauregard and that maybe all the medical panic over this “obesity epidemic” is a load of crap and creampuffs.